The membership file for the Friends of South Dakota Public Broadcasting contains names, addresses, and other information. This is a list that is commercially valuable. The list will be protected to respect the privacy of Friends members. At no time will the Friends trade, sell or in any way distribute their membership list. Exceptions may be made only by a two-thirds vote of the Friends Board. Portions of the list may be turned over to Friends employees and Friends Board Members in the course of membership projects. The people who are trusted with these names should be cautioned to maintain privacy. Normally, the amounts of contributions are deleted from these lists. In certain special cases, it is possible to trade the Friends list for another membership list that might be used for new member acquisition. These cases should be approved by a 2/3 majority of the Friends Board of Directors present at a regularly scheduled Friends Board meeting. Trades should never be made for commercial use because it is inappropriate to subject contributing members to commercial appeals. Trades might be made only when the trade is beneficial to Friends and does not jeopardize members. 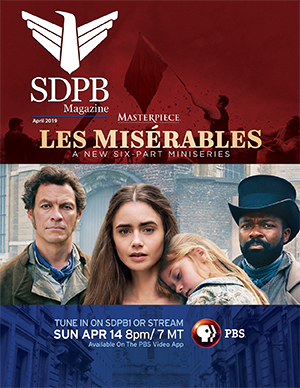 Friends of SDPB processes gifts on a daily basis. Gifts are sorted by source codes and bundled together in bundles of approximately 30 gifts. Each bundle is assigned a cash receipt number. i. Verification is made that the amount of payment is the same as amount recorded on the form. ii. After all envelopes in the bundle are opened; checks are stamped with FOR DEPOSIT ONLY and Friends Account Number. Checks are then totaled and the adding machine tape is attached to the bundle. The corresponding membership envelopes or forms are added together, by source code and then totaled and the adding machine tape is attached to the bundle. The total on the bundle of checks and the bundle of forms must balance. A deposit ticket is filled out – with a carbon copy of codes/amounts staying in our office. iii. The cash receipt number and deposit total are entered into the Friends database and each source code and dollar amount is credited to the corresponding membership record. iv. Statistics are kept from the copy of the deposit slips as to the number and dollar total received from each source code and verified with a daily report from the Friends database. This information is used by the Finance Manager to input statistics into financial/statistical reports. v. If payment is a credit card, it is given to Accounting/Membership Assistant to process. vi. If payment is an underwriting payment, the Accounting/Membership Assistant will process and then pass information to the Finance Manager to process. Underwriting payments are added to the receivable report and invoicing process. vii. If a person indicates on the membership form that money was sent, but there is no money is in the envelope, a letter would be sent stating that no contribution was found. viii. If a Matching Gift Form has been sent along with a contribution, verify amount on Matching Gift Form and give form to Accounting/Membership Assistant to complete and send to company. A notation is made in the “Activity” file on the membership record. c Money is deposited at First Bank and Trust in Brookings in a timely manner. d. The Inter-Active Transaction Journal, Check Register, Cash Receipts Journal, Cash Receipts Headers and Control Book are printed from the Friends Database and saved to the Friends server, daily. These printouts serve as the “audit trail.” The information is also added to the Friends database and membership statistics are matched to the Friends Database reports. e. Mail is opened by full-time employees of Friends who are bonded through a bond insurance policy.